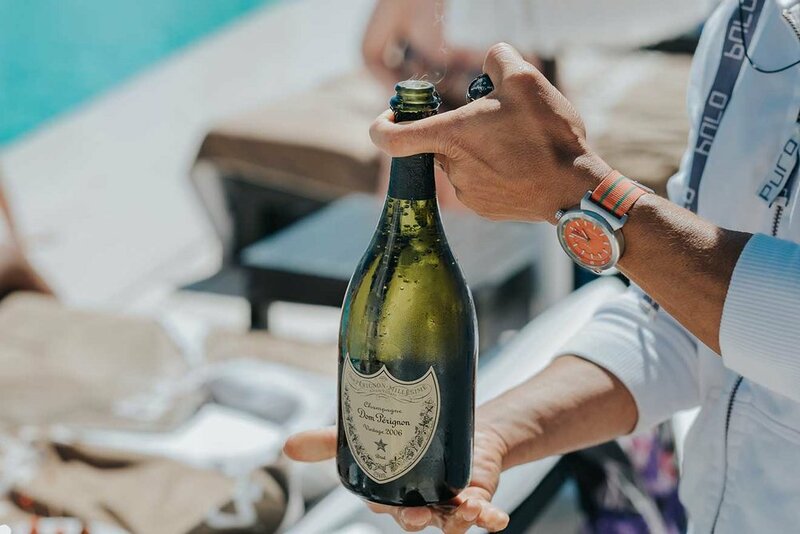 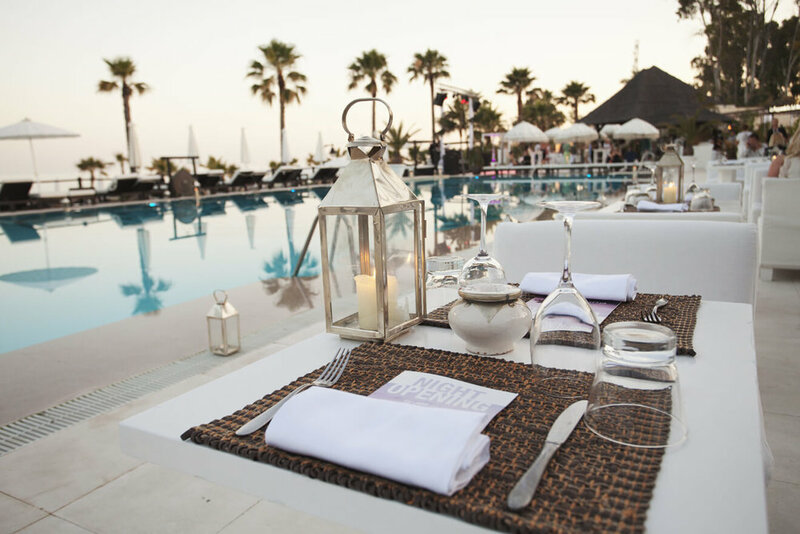 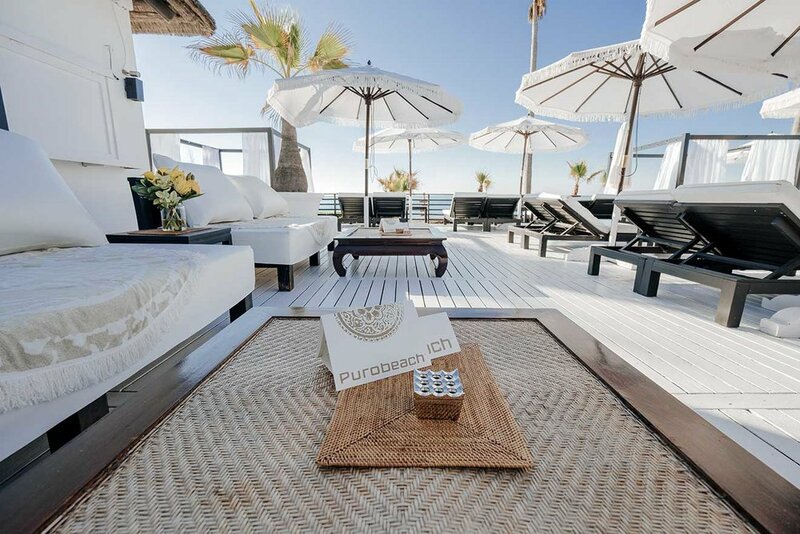 Puro Beach is one of the trendiest beach clubs on the coast, offering a blend of relaxation in the day and a party atmosphere at night that attracts the ‘IT’ crowd of Marbella. 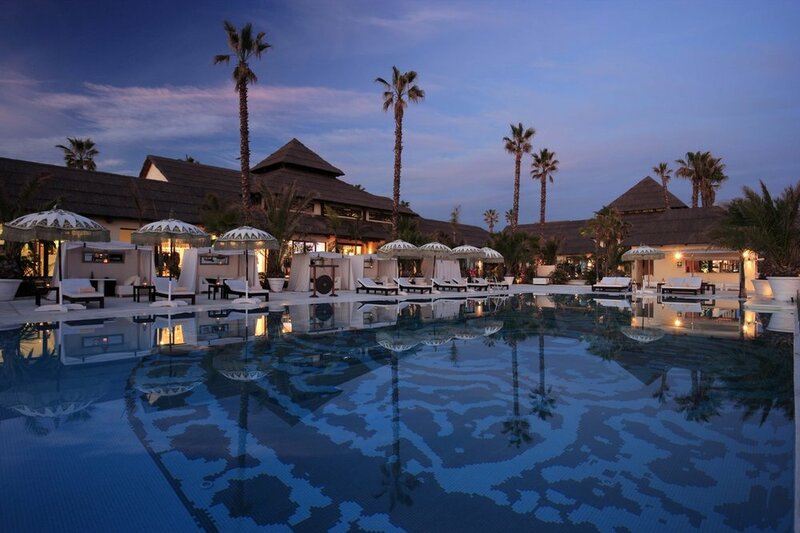 The beach club is located within the Laguna Village shopping mall and includes a restaurant, bar, lounge area, huge infinity pool, spa, and yoga studio. 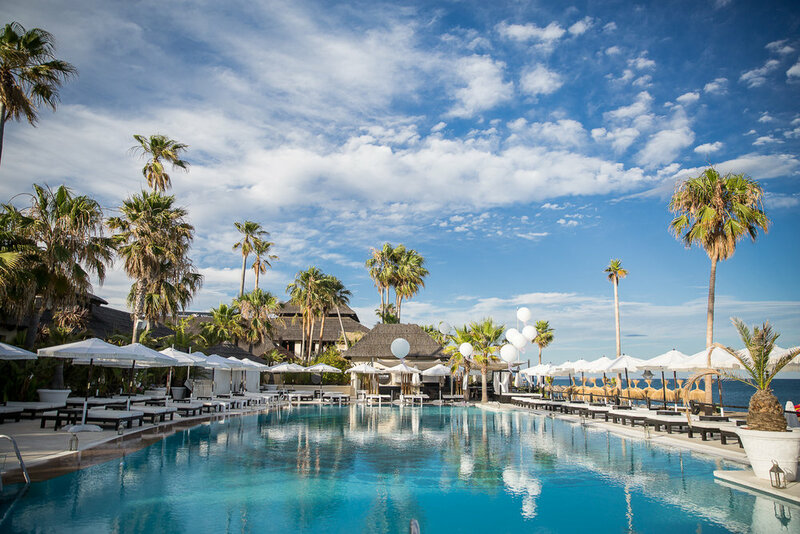 Early risers can partake in some gentle outdoor meditation, yoga or Taichi whilst enjoying the sunrise over Palma Bay. 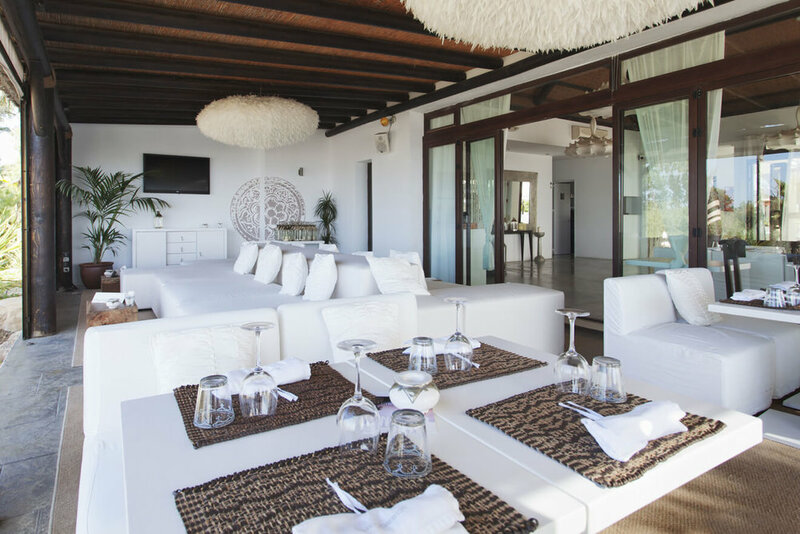 The majority of guests arrive midday to relax on the sun loungers, cool of in the pool or to take advantage of the Puro Beach spa which includes a rain shower, a candle lit room for yoga and four treatment rooms offering a variety of facials, body scrubs and massages. 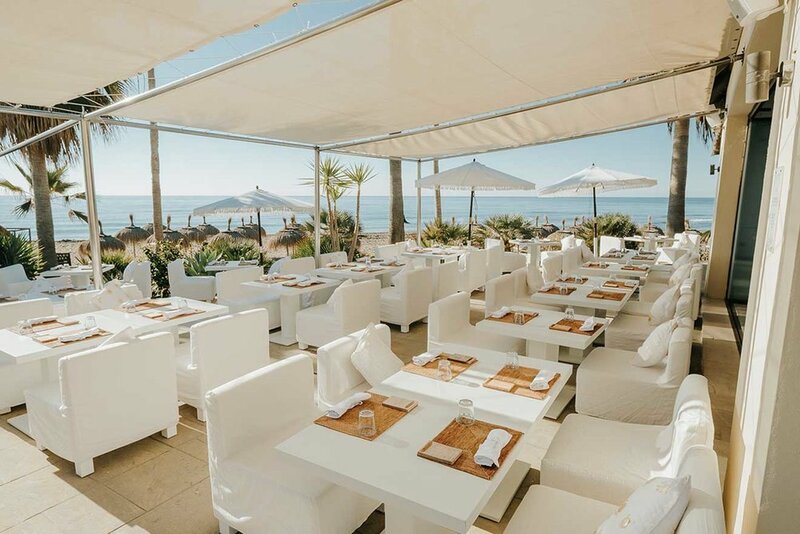 The Puro Beach restaurant open for lunch and dinner provides diners with a wide variety of different types of food, from fresh sushi to steaks (read the full review in our restaurants section). 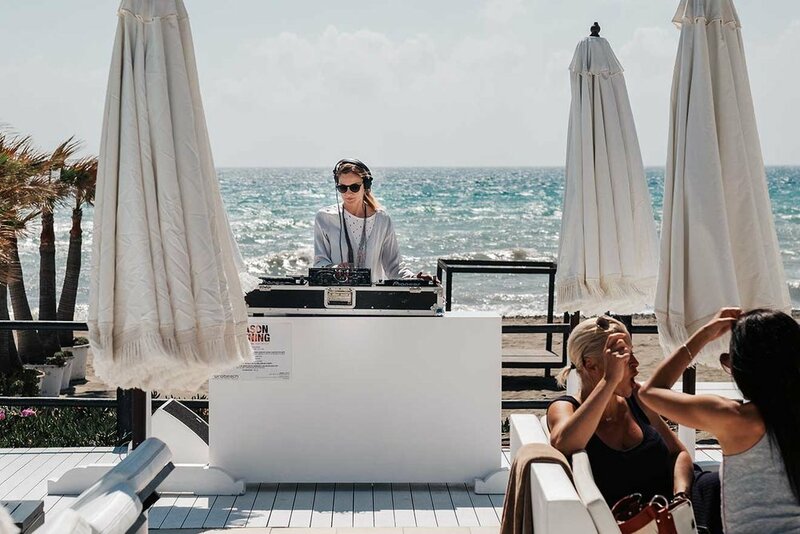 The peaceful mood created by the soft tunes spun by the DJs in the day turns more upbeat in the evenings and often results in parties carrying on into the early hours of the morning. 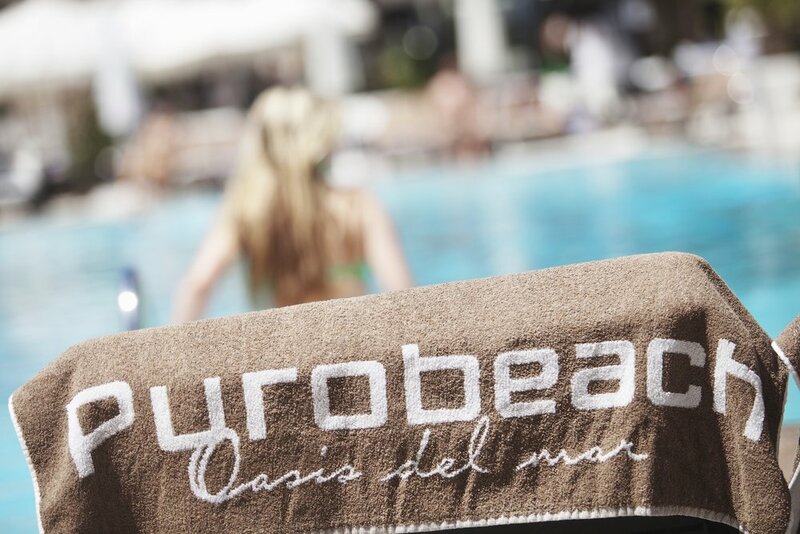 If you are arriving by sea then the beach club will be more than happy to pick you up from your vessel and take you directly onto one of their sun loungers free of charge.